Jalak Bali (Bali starling) are exotic birds, rare, and protected. A person is not allowed to have this bird tnpa written permission from the government. Because the government concerned with the safety of this bird. Bali Starling is a bird that is always in pairs. In life they have a spouse to death. Each pair of male and female. See also: Jalak Bali icon of Jembrana. Jalak Bali is very rare. In the wild, the population is very small, probably no more. Original habitats in the West Bali National Park. In the area of West Bali, in Jembrana and Buleleng. Protected forest areas that are not well protected, so that the hunters and lumberjacks can easily destroy the forest ecosystem. 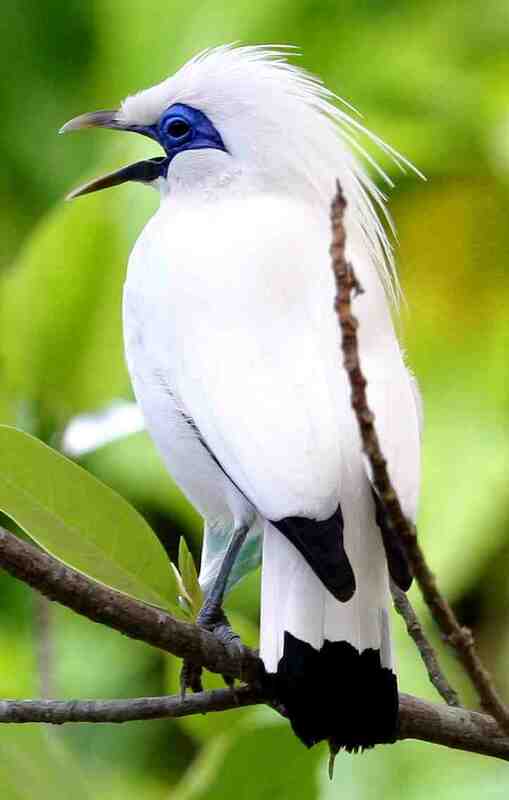 (Bali Starling (Jalak Bali) just be a logo). Jalak Bali is always a concern by bird enthusiasts. Jalak Bali is very exotic, so many people want to have to be a pet. (Jalak Bali tough breed).